The Devendra Fadnavis govt has invited bids for the Bal Thackeray memorial, just 3 weeks after plan received cabinet approval. Mumbai: Trying to get the politically significant Bal Thackeray memorial project off the ground before the Lok Sabha elections, the Bharatiya Janata Party (BJP)-led Maharashtra government has already invited bids for the memorial’s construction, within three weeks of the state cabinet’s approval. 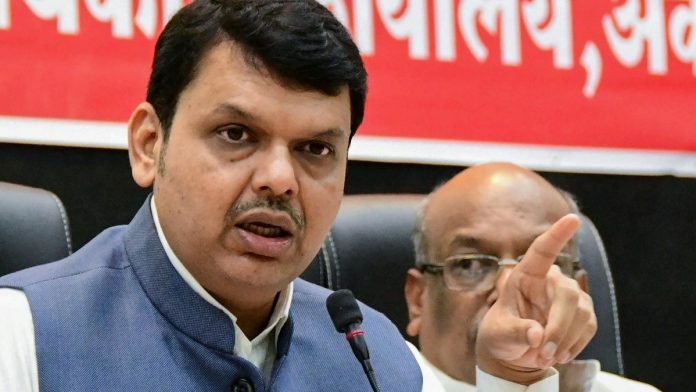 On Wednesday, Chief Minister Devendra Fadnavis-led Mumbai Metropolitan Region Development Authority (MMRDA) called for bids for the project’s construction after finalising the estimated project cost and preparing tender documents over the last two weeks. MMRDA is the state-appointed implementing authority for the project. The authority has estimated the work of turning the erstwhile Mayor’s Bungalow, a heritage structure near the Shivaji Park ground where Shiv Sena founder Thackeray held his first political rally, into a museum and memorial at Rs 87.46 crore. The Fadnavis government, in which the Shiv Sena is a junior partner, gave a cabinet nod to the project on 22 January, agreeing to set aside Rs 100 crore for it. The chief minister and Shiv Sena chief Uddhav Thackeray held a small puja at the memorial site, formally handing over the property for the project, on 23 January, Thackeray’s birth anniversary. The swift decisions on the Thackeray memorial project coincide with the BJP trying to get the Shiv Sena to tie up for the upcoming Lok Sabha elections, even as the Shiv Sena has resolved to contest solo unless it gets an upper hand in the state. “We have issued tenders as we have been allotted the work of constructing the memorial. It has nothing to do with elections and there is no such specific instruction from the government to fast-track the project,” said Dilip Kawathkar, MMRDA spokesperson. However, most projects usually take longer to get to this stage from the time of getting a cabinet approval. For instance, in case of a memorial for B.R. Ambedkar at Dadar’s Indu Mills, the state gave the responsibility of the project to the MMRDA in March 2013. It picked a plan for the memorial in 2015. A single-member committee appointed by the state government vetted the conceptual plan and directed the MMRDA to prepare detailed plans, estimates and invite tenders for construction in April 2017, after which it called for tenders for the actual work. The land too was handed over to the MMRDA only in March 2017. For the Thackeray memorial, the state government appointed a public trust headed by Sena chief Uddhav Thackeray in 2016 to come up with a design and supervise the project. Subsequently, the state cabinet approved it in January, giving it for implementation to the MMRDA, which invited bids in less than a month. The journey from cabinet approval of project plans and cost to actual tendering has also taken slightly longer even in some of the development projects that are known to have been cleared quickly. For instance, one of the first infrastructure projects that the Fadnavis cabinet cleared were two elevated Metro lines — one from Dahisar East to Andheri East and another from Dahisar West to Andheri West. The projects received cabinet clearance on 6 October 2015. The MMRDA invited bids for the first line on 16 December 2015, while the Delhi Metro Rail Corporation, which was asked to implement the construction of the second line, called for the Dahisar West-Andheri West line on 25 January 2016. An MMRDA official who did not wish to be named, however, expressed doubts over whether the agency will actually be able to award the construction contract before elections. The memorial is proposed to be built without altering the original structure of the former Mayor’s bungalow, which was built in 1928, or hacking any trees on the four-acre sea-front property. The work for which the MMRDA has called tenders involves building an interpretation centre, a visitors’ centre, heritage conservation, restoration of the Mayor’s bungalow, landscaping and beautification of premises, among others.